Her Wedding Planner » Blog Archive How to Choose Your Wedding Photographer? Your wedding day needs to be the most unforgettable day of your life. However, once the cake has been cut, the first dance has been danced and all the Champagne has been drunk, your wedding photographies are what remain. This is why choosing your wedding photographer is, almost, as important as choosing your husband! 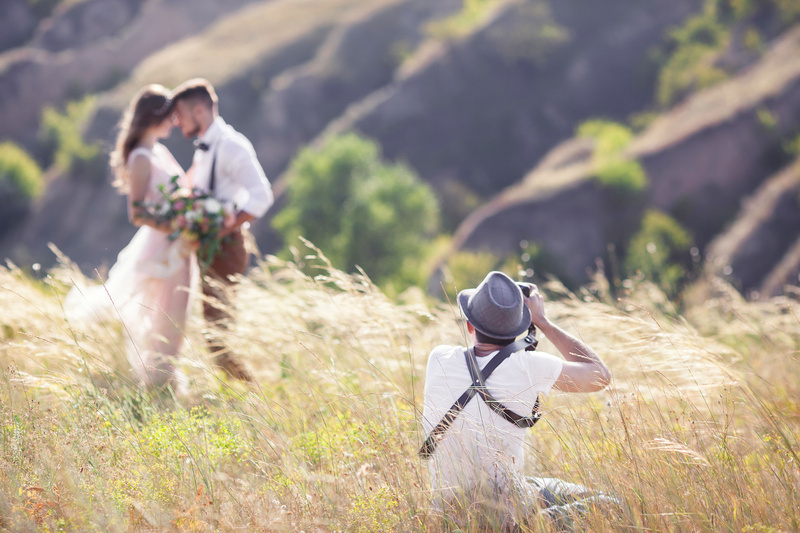 Choose your perfect wedding photographer by observing a set of rules before your put your deposit on one. Firstly, you need to decide what style of photography you want. Most wedding photographers shoot with a blend of different style, for example: documentary, fine art, edgy and bold, or portraits. You need to decide what is their preferred area of expertise as you want this to be Your preferred style for your wedding. Set up interviews and ask a few key questions. It is not enough to just look at the wedding photographer’s work, you also need to meet them. This will help you decide whether or not you can spend your wedding day around this person and if you trust them to deliver what you expect. For example, ask them how many weddings they have shot and how many they do in a year. Do they have a backup photographer in case they are sick that day? Are they going to be holding the camera or do they work with associates? etc. Assess the light situation of your wedding. If your wedding takes place in a gothic cathedral, it’s unlikely to have the same lighting as a wedding in a field! What season is your wedding taking place? A wedding shot in summer will not be lit the same way as a winter wedding. Ensure your wedding photographer is experienced in taking great pictures in the lighting your wedding venue offers. Inside tip: if in their portfolio the pictures taken after dark are mostly black and white pictures, then this wedding photographer is not comfortable with darker settings. Lastly, take a look at reviews. Do a search on the internet and see if this company is recommended by other people. Finally, don’t hesitate to contact us for more details. Alternatively, we’ll help you find your perfect wedding photographer on our website. Just do a simple search and take a look at our directory.